Waterfall Info: This is the lower of two significant waterfalls in a gorge on Sarahs Creek below Sarahs Creek Campground. You can only see about 1/2 of the waterfall from the base, but you'll get a view of the full waterfall along the way. 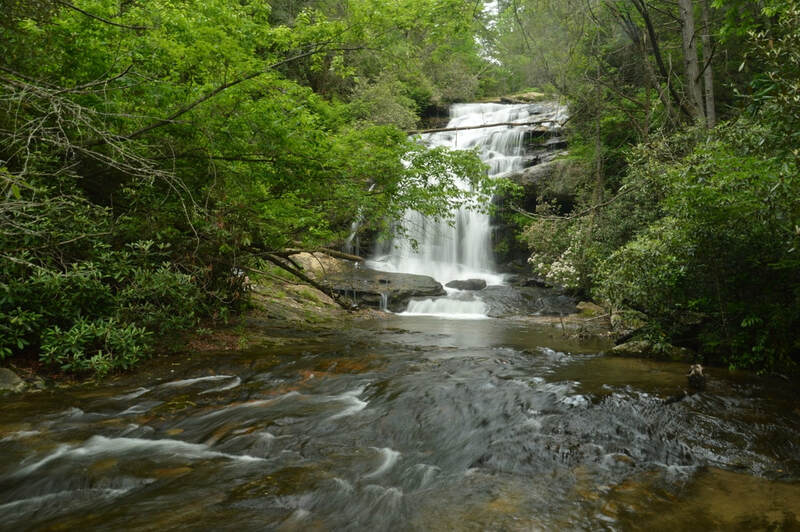 Access Info: A faint, unofficial trail leads to Lower Sarahs Creek Falls from FS 155C near Kell Cemetery.